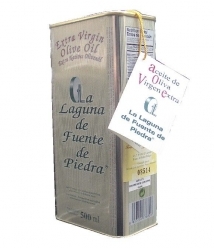 La Laguna de Fuente de Piedra Frutado - Tin 2,5 l.
> Marca>Otras Marcas>Málaga>La Laguna de Fuente de Piedra>La Laguna de Fuente de Piedra Frutado - Tin 2,5 l.
Extra virgin olive oil is a monovarietal of the vidueño variety. 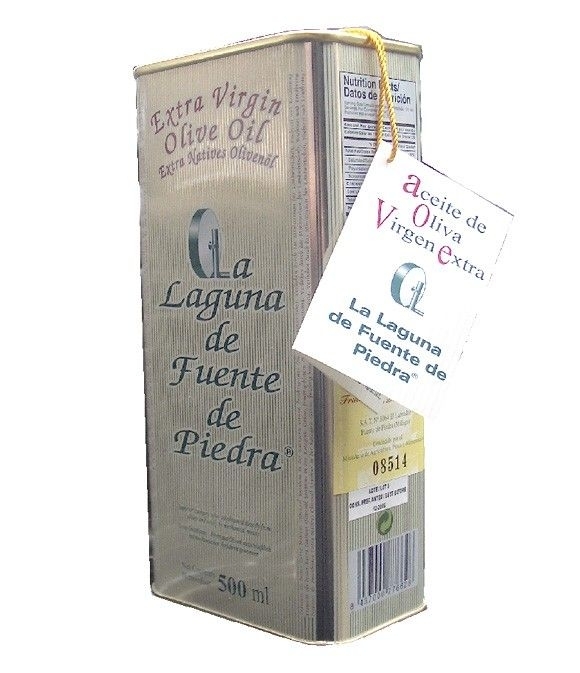 Recommended uses: cod, clams, fried eggs, stews, salads full of flavor even a little spicy, prawns with garlic, anchovies in vinegar and any dish or palate that require flavor. Bitter taste with slight spiciness at the end and a high fruity intensity. activity with its own packer number. 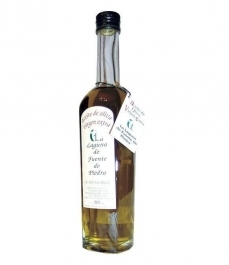 as "gordalilla", "pico lemon", "chamomile" and "marteña" . They are beginning to enter "arbequina"
drip irrigation and only one foot per tree. The collection system is partly manually and partly mechanized, by vibration. oils. The date of collection of each variety is marked by the phenological state of the same. The milling is by "continuous three-phase system". 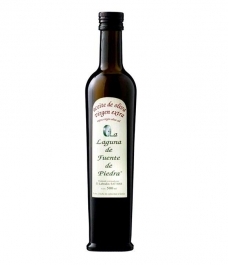 The oil is obtained by "low temperature extraction". whole process. The different varieties are ground separately. The packing machine is electronic weighing and manual handling.